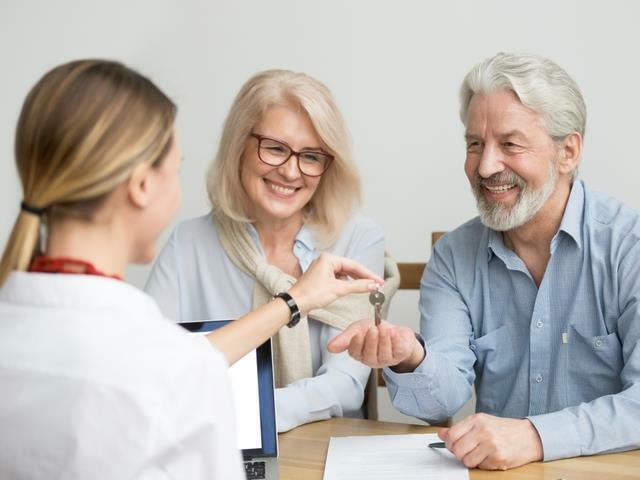 Older tenants are proving to be the 'best bet' 08 Apr 2019 Data from the quarterly PayProp Rental Index indicates that older tenants are the ideal tenants for landlords - even though they typically have higher levels of debt, they also have the highest credit scores. When tenants come close to retirement, things often change for the better as the majority of debt is paid off and children have left home and are self-sufficient. According to the index, tenants between the ages of 50 to 59 have the best scores due to many factors, including the discipline and commitment they display in debt repayments. At the other end of the spectrum, the lowest levels of debt were recorded for those under the age of 30. However, this age group was also found to have the lowest credit scores. "High levels of debt do not necessarily mean that a tenant is high risk. Landlords should factor this in when they are presented with a breakdown of a potential tenant's repayment commitments," says Johette Smuts, Head of data and analytics at PayProp. "With age comes extra responsibility, especially if that person supports a family. There are financial obligations such as school fees, transport, clothing, rent and commonly a loan or credit and store card repayment too. It's also not unheard of for families to be paying off more than one car," says Smuts. "Younger tenants should perhaps be considered with a lot more caution as they have less experience being committed to a long-term contract or debt, and could default if they over-extend their credit portfolio." PayProp's Rental Index found that the average age of landlords is set at around 50.5 and has stayed constant over the years. Provincially, the youngest landlords live in Gauteng (48.4 years of age) while the oldest, at 52.3 years live in the Eastern Cape and Free State. The average age of tenants has also remained unchanged since PayProp first measured age in its indexes, and stands at 41.4 years. The youngest tenants live in the Northern Cape with an average age of 37.9 and the oldest in the North West province with an average age of 44.2. The average national debt-to-income ratio is around 44%, which means that 44% of a tenant's income is used to pay debt every month. "The debt-to-income ratio for tenants increases with age as they start families, send kids to school and university and buy more expensive luxuries," says Smuts. When tenants come close to retirement, things often change for the better as the majority of debt is paid off and children have left home and are self-sufficient. "Unfortunately, the best tenants - those aged over 60 who boast the best credit scores - are few and far between. Only 5% of tenants fall in this bracket. For the rest, it is important to check and re-check each applicant," says Smuts.